Apple says it no longer sees a need to pursue its lawsuit against Amazon's use of "Appstore," leading Amazon to drop its counter-suit. 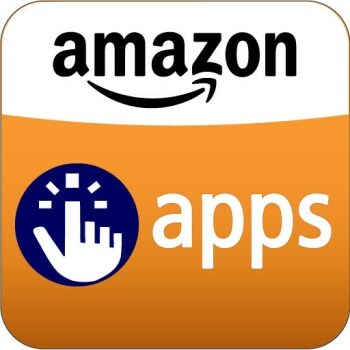 Apple filed suit against Amazon in 2011, claiming that Amazon's use of "Appstore" for its Android application portal infringed upon Apple's "App Store" trademark. Apple claimed that the name would "confuse and mislead consumers," and also that Amazon had "unlawfully used the App Store mark to solicit software developers." But now, for one reason or another, Apple has seen fit to let the matter drop, and Amazon has followed suit. According to Reuters, Apple has agreed not to pursue further legal action against Amazon over its use of the name. "We no longer see a need to pursue our case," Apple spokeswoman Kristin Huguet said. "With more than 900,000 apps and 50 billion downloads, customers know where they can purchase their favorite apps." Amazon, meanwhile, crowed that Apple had decided to "unilaterally abandon the case," which I'm guessing is legalese for "running up the white flag." Amazon rep Mary Osako said the company was "gratified" by the outcome, adding, "We look forward to continuing our focus on delivering the best possible appstore experience to customers and developers." It's not clear why Apple decided to drop the case but the common use of "app store" as a generic term is very likely at the root of it. That was actually one of the key points of Amazon's defense in the matter: It noted in a court filing that both Apple CEO Tim Cook and former CEO Steve Jobs had referred generically to "app stores" in the past.